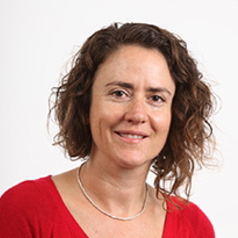 Dr Sally Babidge received a PhD (Anthropology) from James Cook University where she was Lecturer from 2005 - 2006 before joining the faculty as Lecturer in Anthropology at University of Queensland. She is a Fellow of the Australian Anthropological Society and a member of AIATSIS. Babidge has been involved in historical and anthropological research with the people of Charters Towers since 2000, and the book Written True Not Gammon: A History of Aboriginal Charters Towers draws on the research completed for her doctoral thesis. Since 2010 she has worked on mining and Indigenous Peoples territories in Chile.